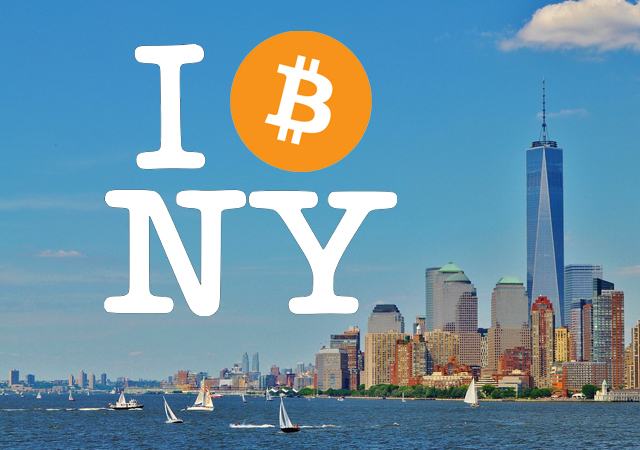 The State of New York has converted Digital Rights –using Bitcoin, “virtual”-digital currencies and Block-chain technology– into a privilege with a License for a Fee. The New York Department of Financial Services called it a BitLicense and is “required” for all businesses transacting Virtual Currencies like a bank. 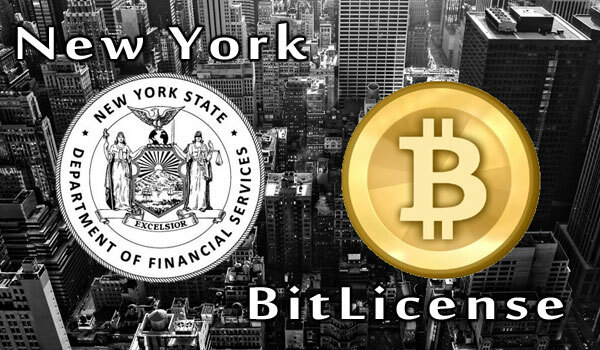 A business must obtain a BitLicense if it engages in virtual currency business activity involving New York State or persons that reside, are located, have a place of business, or are conducting business in New York. Such regulation “shadow bans” all “STATE OF NEW YORK ARTIFICIAL PERSONS/CITIZENS” from various digital currency networks. See The Real Cost of Applying New York BitLicenses. Frost estimated the [BitLicense] application cost Bitstamp roughly $100,000, including time allocation, legal and compliance fees. Conversion of basic Digital Rights into a privilege requires special authorization/permissions. This is where the FOIA (in NY its FOIL) requests comes in. 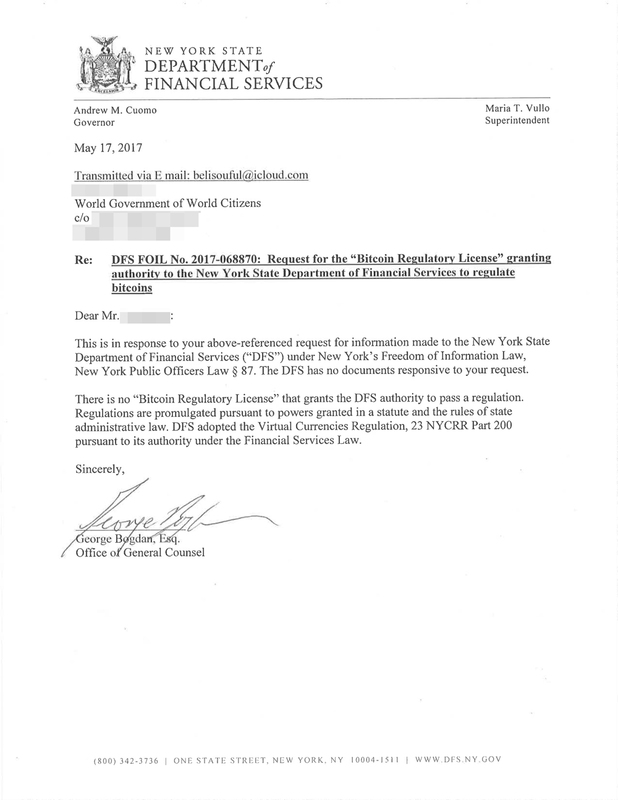 The Governmental Services Corporation Watch blog filed a FOIL request with the NY DFS requesting the “Bitcoin Regulatory License” that grants the New York State Department of Financial Services the authority to regulate such [Common Law] Digital Currencies (legally named “VIRTUAL CURRENCIES” to reduce their legal appeal). It’s clear that the New York Department of Financial Services is only interested in limited the Digital Rights of “New Yorkers” in favor of the International Bankers who own and run New York City, the State of New York, Hillary Clinton, Donald Trump, the United States Inc, etc. Meanwhile, the usage of Digital Currencies in the State of California has been VERY HOT. Bitcoin Regulation in California has already been brought up twice and shot down both times. AB 1123 was the third attempt and was similar to New York’s BitLicenses. The CORPORATE BILL MAKERS have announced how to gain their DEBT leverage foothold into Digital Currencies. 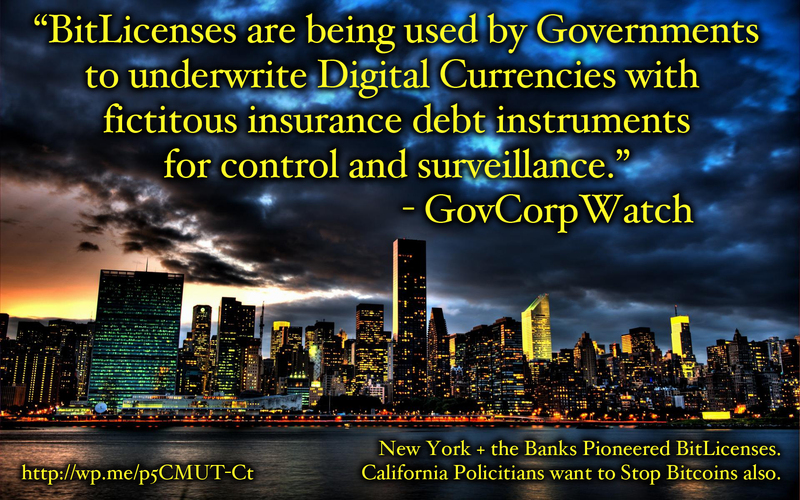 Governmental Services Corporations seem to feel the need to be the UNDERWRITER of DEBT for the BENEFIT of DIGITAL CURRENCY INSURANCE. THIS CANNOT BE UNDERSTATED. Despite this, any corporation has the right to issue an unlimited amount of debt speech to themselves for the purposes of “insurance;” effectively making all corporations “self-insured.” In actually knowing what debt is and how it works, “insurance bonds” for Virtual Currencies can be totally avoided by business. Policymakers continue to oppose bitcoin and cryptocurrencies in certain regions of the world. California legislators have tried to introduce their version of BitLicense a while ago. Luckily, those plans were shot down relatively quickly, not once, but twice. It appears a new proposal under the name AB 1123 has come up, with touches upon the topic once again. This bill needs to be opposed by the people once again. To be more specific, AB 1123 is capable of bringing the bitcoin use to a near halt in the state. Dababneh’s wording can be interpreted in many different ways. However, it leaves little to the imagination of how bitcoin startups would be nearly outlawed. Moreover, businesses accepting bitcoin would need to meet additional regulatory requirements. Donations in bitcoin or other cryptocurrencies would be subject to harsh guidelines as well. Without Expressed Authority (Title 4 U.S.C. §72) and given the above legal precedent, the NY-DFS is not allowed to convert [Digital] Rights into Privileges for a License with a Fee. This is your Constructive Notice to the NY-DFS to immediately cease and desist all BitLicense activity that violates legal precedence and refund all issued BitLicenses. It is a pleasure conducting business with you.